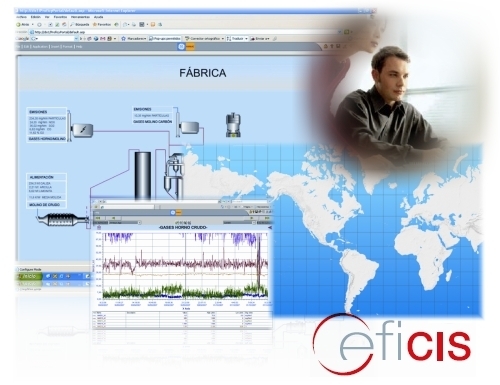 CEFICIS is the Corporate Information System necessary to have at your immediate disposal the complete company information, showing real time and historical data from any geographical location. The system is based on the Proficy software suite by GEFanuc. The system permits easy access to data while maintaining the integrity and security of this. Each user having access is able to develop his own reports on spreadsheets, or, in the case that the web service is employed, is able to circulate these to other work groups or publish them as required. The system incorporates an electronic signature in accordance with the 21 CFR standard, Part 11. The system is designed to be integrated with the majority of existing control systems such as with ERPs such as SAP, JDEdwars, Oracle... In the event that your control system or ERP does not include a standard protocol, CEFISA will develop the suitable interfaces to enable integration to be achieved.